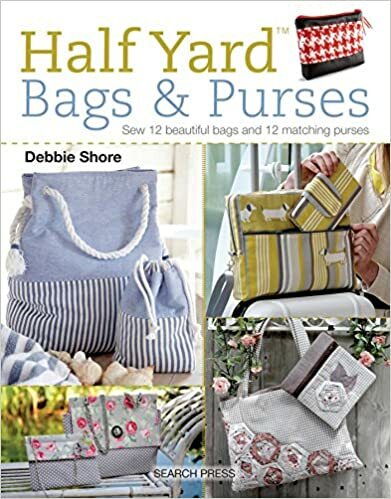 Many of our customers use books for bag and purse making patterns as these will often provide additional advice and help with techniques. I love to see purses and bags made with our products and super new fabric range and below I will shortly include recommended books and customer project photos. I hope you find them interesting and useful. 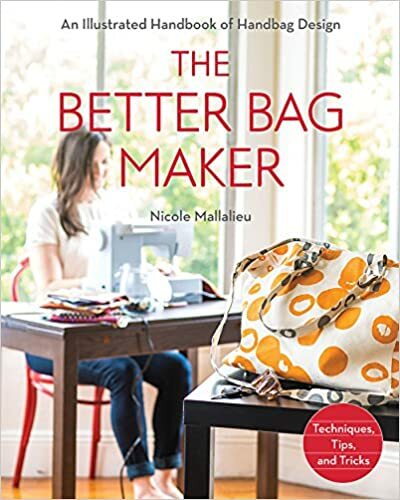 Below is a picture of the book 'The Better Bag Maker' (click on image to go to book - opens in new window) receommended by one of my customers who made the tote bag in the middle, using our 'Sewing Box Fabric'. I think you'll agree it look really great! But would also look really nice using one of our other fabrics. It can be difficult to find bag designs that really inspire you: you might want the shape and pockets of one combined with the size and handles of another. But how do you put all these different elements together to create your perfect bag? Sewing superstar Debbie Shore equips you with all the techniques you need to create 12 beautiful, customisable projects, and then show you how to apply these techniques and ideas to create your own unique designs. Click on image to go to book (opens in new window) - only £3.99 (paperback). 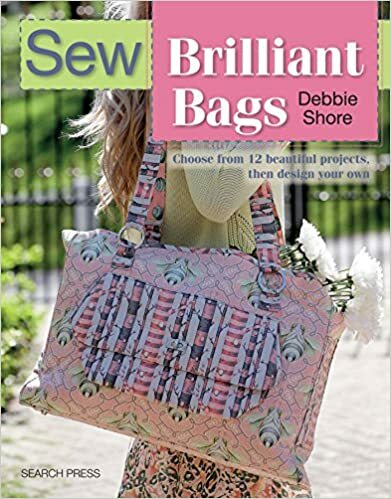 This fantastic book contains 24 projects: 12 bags and 12 matching purses. Choose from flowery patchwork totes, backpacks with faux leather detailing, clasp-top clutches, cute floral messenger bags, practical folder holders and a stylish business travel bag, all complete with a matching purse. Each purse is made in the same style and from the same fabric as its corresponding bag - mix and match the bags and purses or make yourself the pair. Each bag requires no more than half a yard of outer fabric, plus all the necessary hardware, trimmings and lining. All the instructions you need are provided in Debbie's clear, friendly style, along with inspiring, easy-to-follow photography, and any templates required are included at full size. Don't forget we have a fabulous range of tapestry fabric (a huge 60" wide) at £7.25 a half meter. Click on book image to go to book (opens in new window) and fabric images to go to fabric.